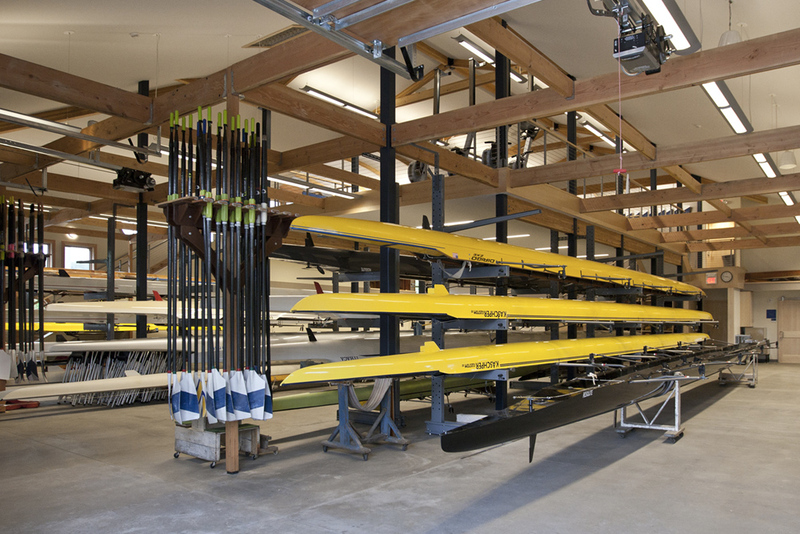 This historically-designed, 4,000 sf, Cayuga Inlet boathouse is home to Ithaca College Men’s and Women’s Crew program. The overall design evokes the utilitarian waterfront structures and the great historical boathouses of the Schuylkill and Charles Rivers. 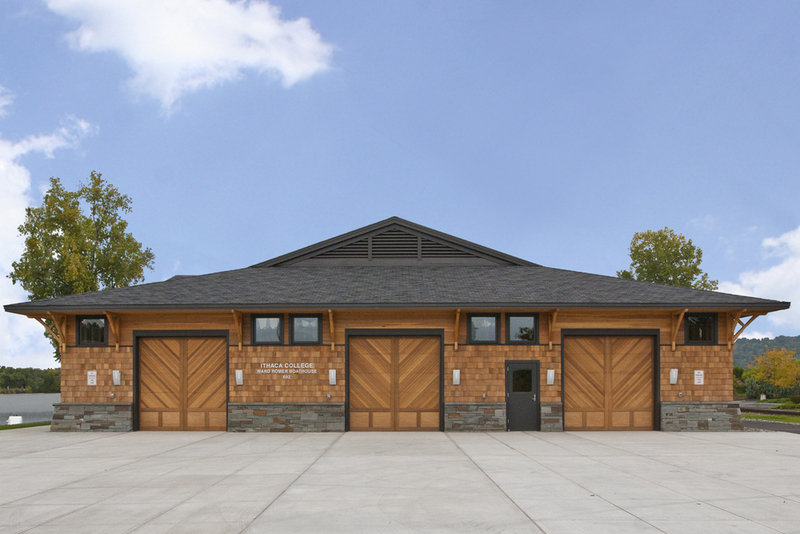 Set on a base of native bluestone, the boathouse is clad in cedar shingles with a hipped roof and brackets supporting broad eave extensions. The eyebrow window provides natural light and views to the mezzanine level. The facility contains an area for team meetings and ergometer training, a boat bay for eights, a smaller bay for fours, a coaches’ office, and toilet and shower rooms.